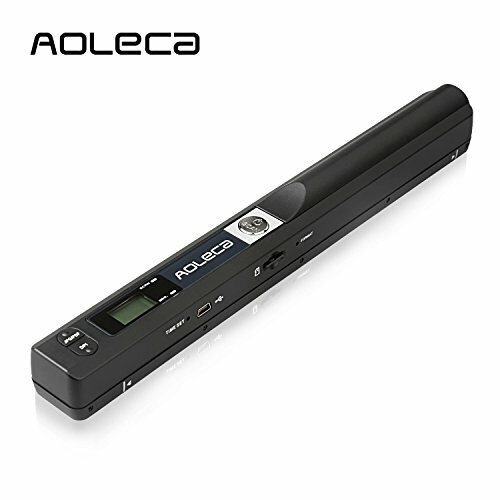 Aoleca Portable mobile handheld scanner, ideal for scanning documents, magazines and newspapers !! or library or enjoying a cup of coffee, the handscanner can always be there! image (up to 900 dpi). regardless of the surface you scan (documents, magazines or newspapers). Scanning speed: High resolution color (10s), Medium resolution color (8s), Low resolution color (3s) (scan the A4 paper). We believe that our product quality and offer the friendly & fast customer service, enjoy it !